Has someone you know ever changed their name? My mother-in-law changed her first name to Elanah right before I met her because she felt like a spiritually different person than before. I had no problem calling her Elanah because I had never known her by any other name. But family members struggled for months with the change because they had called her by her birth name for years and because they didn’t understand why she changed her name. It took great patience on Elanah’s part and years in some cases to get all of her friends and family to call her Elanah. Name changes are easier when we understand why they are changing. Like when someone changes their surname after getting married. Even when you can see the name change coming it can still surprise you. 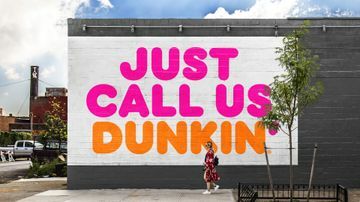 Dunkin’ Donuts CMO Tony Weisman shocked thousands of New Englanders and people around the U.S on September 25th when he announced the brand was officially changing its name to Dunkin’. Not everyone was happy about the change. On Boston’s WBZ-TV News at 5pm that day co-anchor David Wade pledged to only refer to the brand as Dunkin’ Donuts on air. Though he was likely joking, his sentiment probably resonated with many Bostonians for whom Dunkin’ Donuts has been a lifelong fixture. 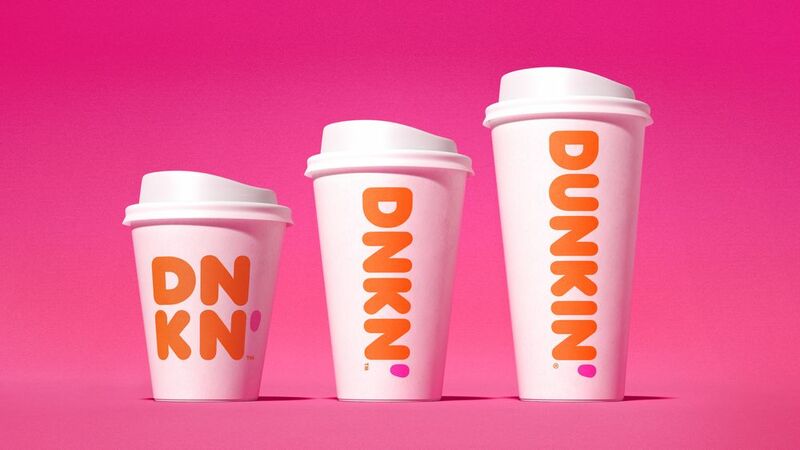 Despite these misgivings, many people have been calling the brand Dunkin’ for years and saw the logic in the change. These people include customers, franchisees, employees and former employees like me. As brand name changes go, this one was well done. The company tested the change in advance and was public about its consideration. If you were watching the news about Dunkin’ Donuts, you could see the change coming. The change is not a big leap. The brand remains recognizable to people who knew it before. The shortened name reinforces Dunkin’s speed-of-service brand attribute in the same way that Federal Express did by changing its name to FedEx in 1994. 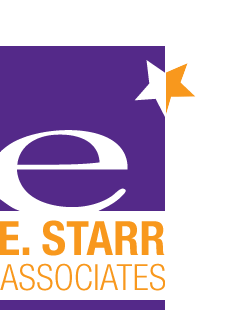 The revised logo keeps the signature bubble letters as well as the orange and hot pink colors that have been in use since 1973. The change also signals a milestone in the evolution of the brand that has been underway for decades, moving from a doughnut emphasis to an emphasis on coffee and other beverages. Beverages now account for 60 percent of Dunkin’s sales. The only place Dunkin’ may have gone too far is in their new cup design. The DNKN’ for the small and medium size cups feels like a stock ticker to me. The cups aside, by the time you read this I’m guessing even diehard fans of the full name Dunkin’ Donuts will have recovered from the shock and will be moving toward accepting Dunkin’. My initial reaction when I heard about WW was to wait…for the third letter. I think of WWF, World Wildlife Fund. I think of WWE, World Wrestling Entertainment. I think of WWW, World Wide Web. But the WWs don’t stand for wellness or works. Or weight. Or watchers. The rebrand does not specify what the WWs represent. Reaction to the new moniker was swift and more virulent than the Dunkin’ one. Articles in The Washington Post and Vogue accused WW of paying lip service to change, chiding them for trying to distance themselves from dieting while staying with a food point-value system that demonizes some foods. Weight Watchers had defenders responding to tweets and touting the benefits that they and their loved ones had experienced. I’m sure Weight Watchers has helped people. This is a commentary on the brand’s name change, not on its program efficacy. And on that count the company has stretched too far too fast. Weight Watchers began its greater focus on wellness just three years ago after research showed their target market was rejecting the notion of dieting and moving toward a proactive and healthy approach to life. As a brand, Weight Watchers had been synonymous with dieting and weight loss for over 50 years at that point. The company revamped their famous point system for eating to reflect more of a wellness focus and introduced their WW Freestyle™ program to educate people about healthy eating. They launched a new program called WellnessWins™ which rewards members for healthy habits and partnered with Headspace to incorporate mindfulness content. While all of these changes may be good for the brand long term, brand reputations lag the changes they make until the brand’s audience has been exposed enough times to alter their image of the brand. For a brand associated with weight loss for over 50 years, three years is too soon to change their name and have the majority of the public follow easily. How could WW have done this better? They could have waited longer to allow the changes to take hold in the brand image. They could have designated what WW stood for specifically or changed the name to words that supported their change to help people understand it. Weight Wellness? Weight & Wellness? Wellness Watchers? Winning Wellness? They could have leveraged their leadership in weight loss as part of the transition instead of sidelining it. The muddiness of what WW stands for reflects a muddying of who the brand is targeting. No longer the obvious go-to for people who want to lose weight, WW wants to appeal to everyone who is interested in wellness programs. And when you appeal to everyone you appeal to no one in particular. Your target market no longer sees your brand as meant specifically for them. WW made such a large leap that they bypassed the credibility and understanding you get from brand evolution and waded into the waters of brand revolution. Brand revolution is less intuitive, more expensive and riskier. Test new product offerings and strategic changes before launching them. Communicate to your market how the new offerings and changes fit your brand’s purpose and direction. Listen to your market’s reaction. Answer their questions. Pay attention to how much explanation your changes require. A need for extensive and oft repeated explanations may signal a disconnect for your audience and merit revisiting the change or proceeding in smaller increments. Make it easy for your audience to participate in your brand’s evolution and you will be rewarded with greater brand loyalty and a better return on your brand investments. Great piece, Evelyn! It perfectly aligns with my thoughts about the changes. Dunkin’ did it right and totally stuck the landing. The WW change reminds me of how Radio Shack tried to rebrand itself as “The Shack” in what to me felt like a deadly lame appeal to younger consumers/hipsters. Did they not “get” that “FedEx” grew from what we all nicknamed the company vs. “The Shack,” which nobody on earth ever called it? Thanks Jeannie. It certainly is better when brands can go with the flow from existing consumer language. Not every brand gets this opportunity. So much goes into a rebrand and the first step is always to study where the equity in the brand is strongest. I happen to know that in New England, you can show people a solid block of that orange with a solid block of that pink underneath and most will mention Dunkin’ Donuts unprompted. I am wondering if in the eyes of Weight Watchers’ community the WWs had that kind recognition. WW may have fallen prey to the rebrand temptation to focus more on the new audiences you want to serve than on bringing your core audience with you. There is little info in the public domain about how WW went about their rebrand process. And believe me I looked!